Jennifer Russell, 36, of 101 Hitchcock Road, Waterbury, was charged March 24 with sixth-degree larceny. Amanda Capo, 40, of 926 Mass Farms Road, Cheshire, was charged March 25 with second-degree failure to appear. Carmenanne Cyr, 18, of 19 Eastview Road, was charged March 26 with possession of less than a half-ounce of marijuana and possession of drug paraphernalia. Ana Lopez, 46, of 133 Hanover St., Meriden, was charged March 27 with first-degree criminal trespass and conspiracy to commit sixth-degree larceny. Luis Bauza, 43, of 133 Hanover St., Meriden, was charged March 27 with first-degree criminal trespass, sixth-degree larceny and second-degree failure to appear. Jeffrey Potter, 45, of 357 Berlin Turnpike, Berlin, was charged March 27 with second-degree breach of peace and second-degree harassment. Tania Cruz, 23, of 418 Mill St., Waterbury, was charged March 27 with second-degree failure to appear. Jeremy West, 24, of 60 Lake Garda Drive, Unionville, was charged March 28 with possession of less than a half-ounce of marijuana. Gary Parker, 66, of 287 Stony Creek Road, Hadley, NY, was charged March 28 with disorderly conduct. Bethany Pasquale, 21, of 312 High Road, Kensington, was charged March 29 with illegal possession of more than a half-ounce of marijuana. Derek Collazo, 24, of 74 Chestnut St., was charged March 29 with more than a half-ounce of marijuana. 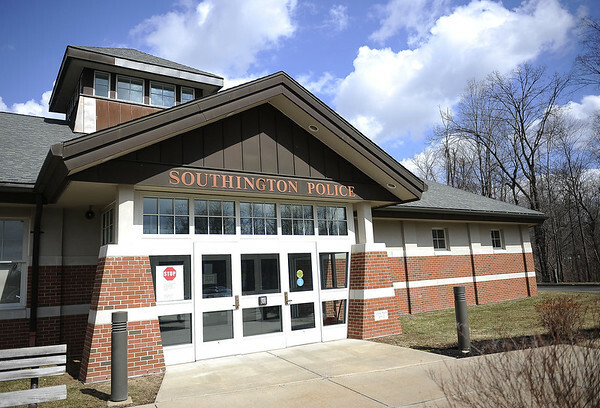 Matthew Vignoloa, 27, of 7 Saddle Lane, Wallingford, was charged March 30 with possession of less than a half-ounce of marijuana and possession of drug paraphernalia. Sean Sandy, 20, of 75 Woodard Drive, Bristol, was charged March 30 with possession of less than a half-ounce of marijuana. Damian Powell, 20, of 140 Lawrence Road, South Windsor, was charged March 31 with possession of less than a half-ounce of marijuana and possession of drug paraphernalia. Kyle Rua, 23, of 490 Oak Drive, Cheshire, was charged March 31 with possession of less than a half-ounce of marijuana and possession of drug paraphernalia. Sadiq Tolbert, 22, of 1444 Marion Road, Cheshire, was charged March 31 with possession of less than a half-ounce of marijuana. Posted in New Britain Herald, Southington Herald on Friday, 5 April 2019 19:45. Updated: Friday, 5 April 2019 19:48.